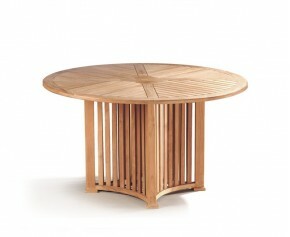 Decisively modern, why not add a contemporary touch to your space with our Aero tables. 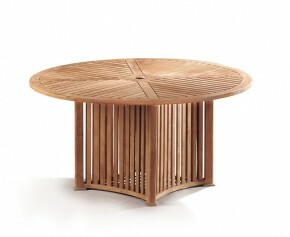 Our teak garden tables come in a variety of sizes so you are guaranteed to find the perfect table for your outdoor space. With their sleek, round counter tops and unique, pedestal leg design, our Aero tables are sure to enhance any space with style. Manufactured with the finest grade-A teak, our teak garden tables can remain outdoor all year round even in the harshest of weather conditions. Built with durability in mind, our Aero tables are guaranteed to provide long lasting use for years to come. 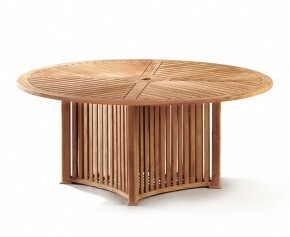 When teamed with our other garden furniture, these teak garden tables will look stunning as a focal point. View our range of Aero tables here.